At Bent River Machine, we have a developed a programmable control system designed for experimentation of different variables in the lamination process. Our laminators were created with companies and researchers in mind who were attempting to develop greater efficiencies or enhanced characteristics in a solar, flat panel and materials lamination. There are several features that set our laminators apart and ensure that you can create the perfect recipe to have the most success for your configuration – on a manufacturing line or for research and development. 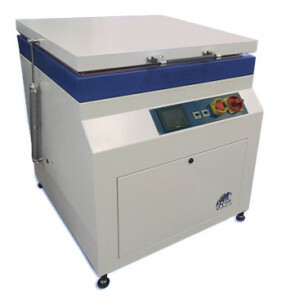 The Bent River Machine line of panel laminators have touch-screen control system. You have precise control of all of process parameters during experimentation and process qualification, including temperature, dwell time, vacuum and pressure. Once a qualified process has been created, the system can be operated in the production mode and run the same production recipe repeatedly. 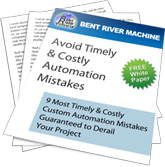 The Bent River Machine line of Laminators offer control and repeatability to eliminate these problems. Our fully automatic lamination process will provide repeatable results for your research and production needs. In order to achieve stringent control and excellent quality in panel lamination, the Bent River Machine line of Laminators offer a unique lifting pin mechanism. Our laminators have an array of pins that raise up out of the heated lower platen. These pins hold the panel away from the heated platen which achieves a good vacuum and eliminates all the air from the panel. 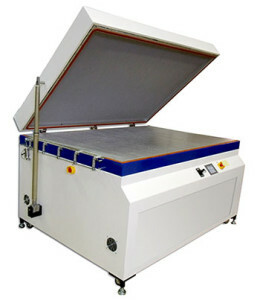 Once this occurs, the pins are lowered bringing the panel in contact with the heated lower platen which raises the panel temperature causing encapsulant to bond the input material together. 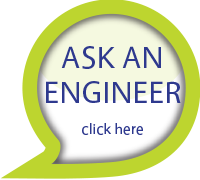 If you find yourself asking the question, “Where can I find a laminator that is intended for development and manufacturing?” You’ve come to the right place. We developed the Bent River Machine line of laminators in response to this need. 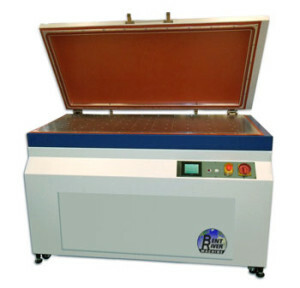 Our laminators are geared toward organizations doing research and development in Solar, Materials, LED, Optics, Glass, Coatings, Fabrics, Film, and Flat Panel. *Please Note: Custom sizes can be built to meet your specific needs if desired. Many companies we support are working on developing a product and lamination process. To support these activities, Bent River Machine invites you to visit our facility or send samples to prove out the process and provide test samples for evaluation. If you are seriously considering investing in a Laminator, Bent River Machine will be happy to have you ‘test drive’ before you make the purchase.